Nadia Murad, a human rights activist and UNODC Goodwill Ambassador, tells her account of surviving religious genocide and life in captivity under the Islamic State. 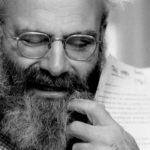 How to approach a memoir of a war still being waged? 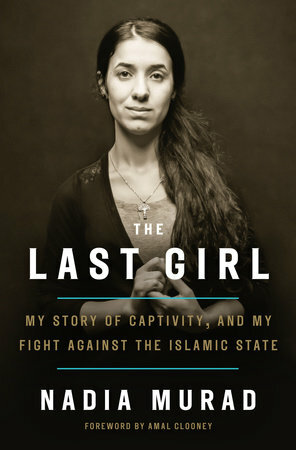 The Last Girl: My Story of Captivity, and My Fight Against the Islamic State contains open wounds and painful lessons, as the Yazidi activist Nadia Murad learns how her own story can become a weapon against her — co-opted for any number of political agendas ... To publish The Last Girl right now, in the United States, means there are tricky issues of sensationalism to navigate; in a threatening climate of Islamophobia, Muslims of all kinds are vilified for the actions of one group. Yet Murad, and the team of translators and writers with whom she worked, hedge against this response with a book intricate in historical context ... As a story that hasn’t yet ended, The Last Girl is difficult to process. It is a call to action, but as it places Murad’s tragedy in the larger narrative of Iraqi history and American intervention, it leaves the reader with urgent, incendiary questions: What have we done, and what can we do? In The Last Girl, Nadia Murad tells the story of her captivity along with other members of her Yazidi village of Kocho. It is an intimate account of what she calls 'a slow, painful death — of the body and the soul.' As an insider, she is able to present a full portrait of her people as more than just victims. She writes with understandable anger but also with love, flashes of humor and dignity. In telling her story, Murad also offers glimpses of what has been wrought over recent decades in Iraq ... Nonetheless, Murad gives us a window on the atrocities that destroyed her family and nearly wiped out her vulnerable community. This is a courageous memoir that serves as an important step toward holding to account those who committed horrific crimes. This memoir from a fortunate ISIS escapee is clearer, deeper, and more informative than it has to be. A member of the decimated Yazidi minority in Iraq, Murad was enslaved, tortured, and raped before fleeing her captors, who are now mostly bereft of territory but still capable of inspiring mass murder worldwide. Murad begins with a fascinating crash course in Yazidi culture before telling her particular story, which frames ISIS’s attack on her people as a classic genocide. What did you think of The Last Girl: My Story of Captivity, and My Fight Against the Islamic State?